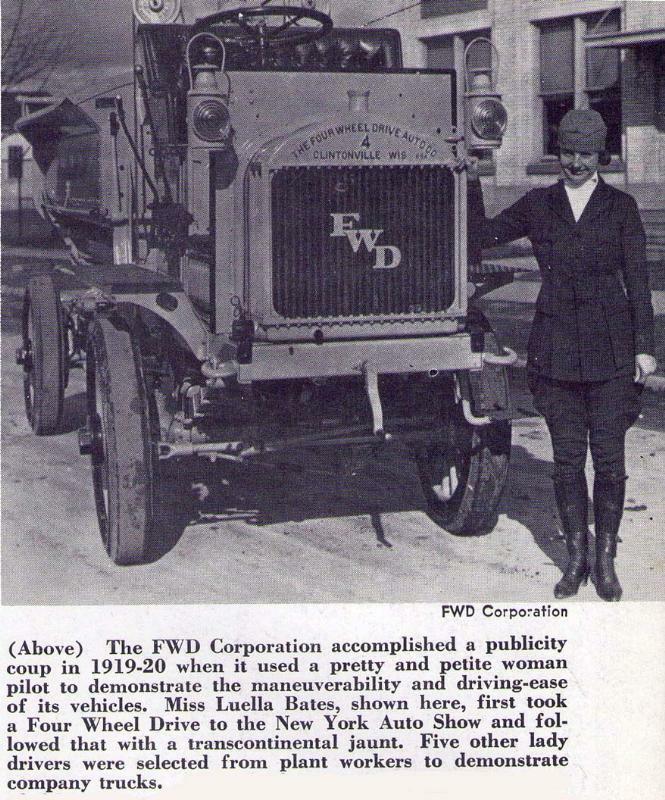 Here's another of the 1st lady truck drivers, Luella Bates. 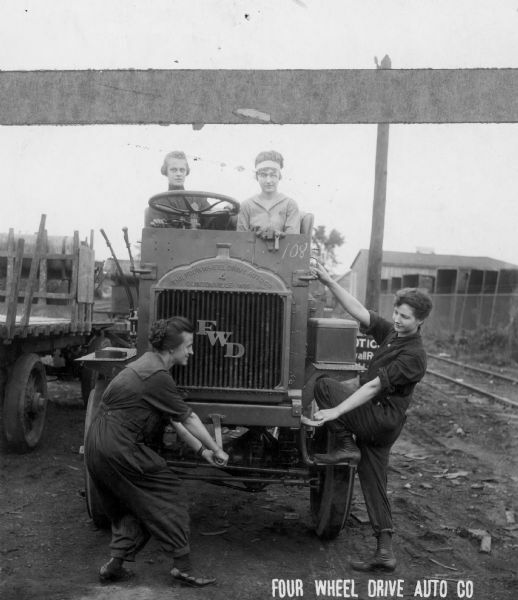 She was hired by FWD in 1919 to drive their trucks across the country and demonstrate how easy they were to handle. I'm not sure if the ladies in the 2nd photo were on the payroll or not. Pick up a copy of Jan. 2012 TRUCK MARKET NEWS. Has a good story about Lillie Elizabeth Drennan (1897-1974) on page 29. Somebody is advertizing some antique trucks for sale on page 42 also. My mom and dad went to high school in the early 30s with two of Luella Bates' nephews. The two guys started a truck body business in Schofield WI and ran it until the late 70s. Jeff, did they go with the 1919 Transcontinental Convoy, or a year behind it.?? That was pretty interesting. She was quite a colorful woman, I bet she didn't take no guff off anyone. Tom, this was just a promotional thing that FWD did on their own to market their trucks. There was no connection to the Transcontinental Convoy which was a military undertaking. But there were several FWD's in the convoy.